You'll be £8.00 closer to your next £10.00 credit when you purchase Two Fronts, One War. What's this? War is the story of individuals painted into a broader tapestry of overpowering events. While examining the wider historical perspective to lay the foundation, this book relates the individual stories of the Second World War – of Allied bomber pilots shot down over Germany, of American dogfaces fighting to grip a toehold on Iwo Jima, of men struggling for survival during the Bataan Death March, of tankers in Europe and pilots who flew the first B-29s against Japan's mainland, of incredible feats of heroism and self-sacrifice, even of great wartime romances. The author interviewed more than two dozen U.S. veterans for this book. Most of these stories have never before been published. 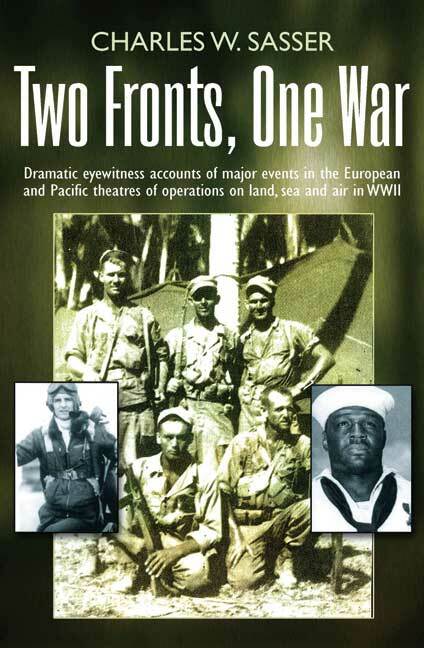 Together, they provide a true account of what the war was really like for those individuals who actually fought it on the two main fronts of the war – Europe and the South Pacific. As one gets into the book it becomes clear that there are some unusual topics here... All of the accounts in the book are valuable in their own right, but the choice of some more unusual topics gives this book its real value. The author has conveyed the many aspects of battle in two very different geographic areas and his text is supported by maps in the body of text, and a selection of interesting images in a plate section. CHARLES W. SASSER is a veteran of both the U.S. Navy (journalist) and U.S. Army (Special Forces, the Green Berets). His many other books include Raider and Patton’s Panthers, and he was a contributor to Frontline’s The Sniper Anthology.